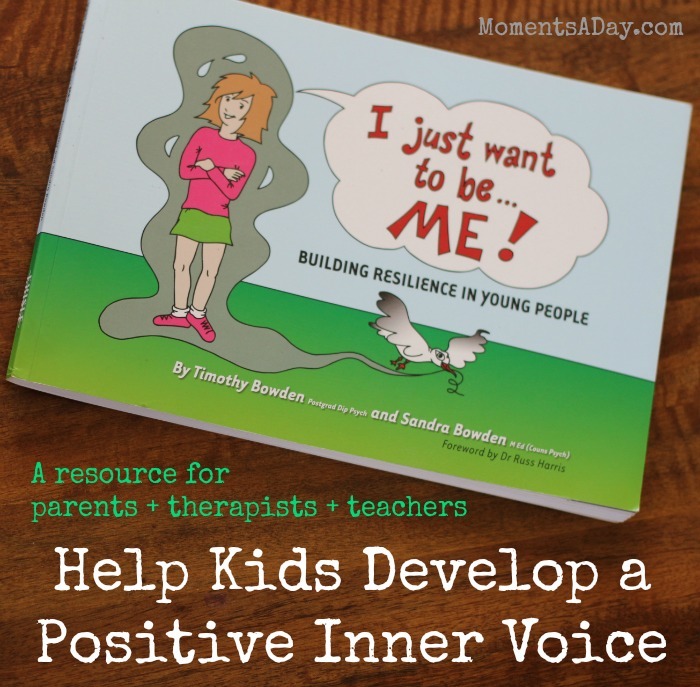 Helping kids build resilience is a topic I have done a lot of thinking and reading about. 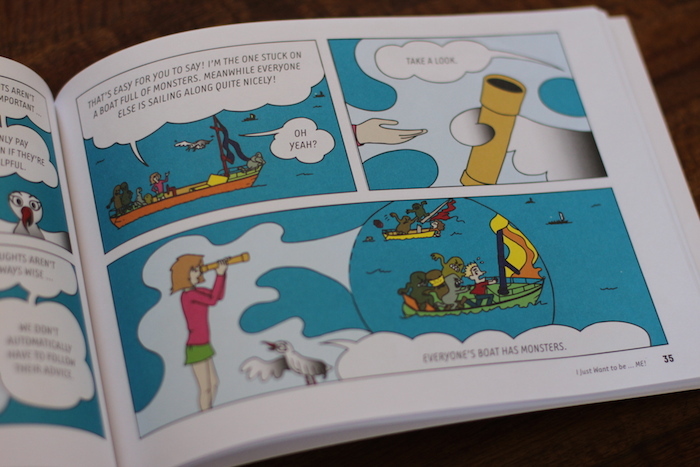 So when I came across I Just Want To Be… Me!, a book by Timothy Bowden and Sandra Bowden of ACT on Purpose that aims to help kids learn strategies to deal with stress, I couldn’t wait to read it. I am so excited to share this resource with you because I have never seen anything quite like it. If you have upper primary school age kids or teenagers, I highly recommend you get a copy! 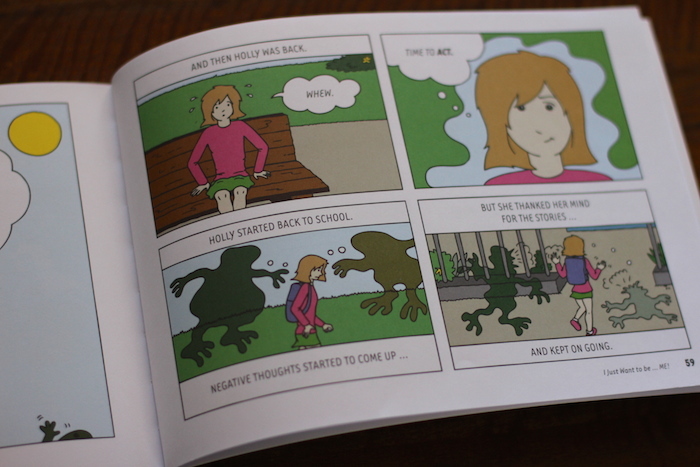 The book is about a girl named Holly who goes on an imaginary trip where she learns how to address negative thoughts in her mind. 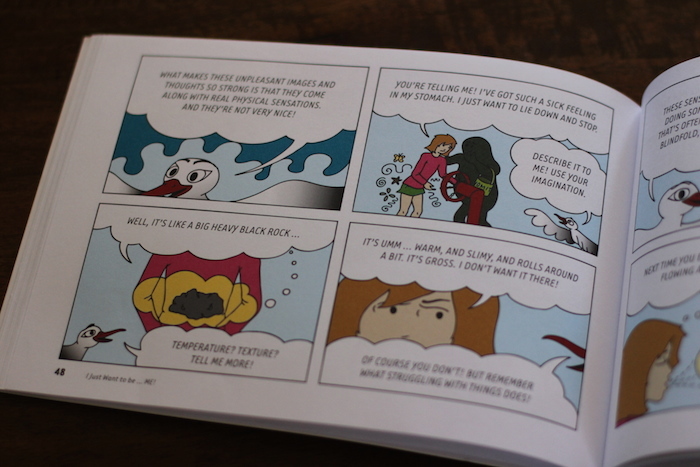 It is cleverly designed as a comic which makes it super appealing to kids (and adults!). The content is complex but the ideas laid out in this format makes it easy to digest. I read the book with my 7 year old who really enjoyed it, but we stopped to discuss the concepts a few times to make sure he could understand. I can imagine it will be even more effective if read and discussed over time. I know he was listening and soaking in the messages already because a few weeks after reading he asked me if I remembered one of the pictures on one of the pages, and could describethe strategy that was being used in that section of the book! I really like how the storyline includes tangible examples and specific techniques for managing thought processes. I have actually gone back and read the book several times on my own to consider how to use the tactics in my own life! There are some really useful strategies there that would be useful for people of all ages, and the book could no doubt bring up many insightful discussions in a home or classroom if read and implemented together. The story ends with a hopeful message and shows Holly using the techniques she learned on her journey. You can also download free downloadable materials to supplement your learning on this page! 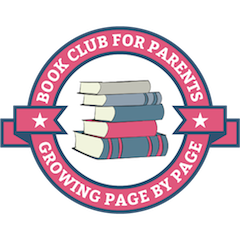 I recommend this resource to parents, teachers or anyone who works with kids or teens. I received a copy of I Just Want To Be Me to review for this post. All opinions are my own. To find out more about advertisement and reviews on my website please click here.